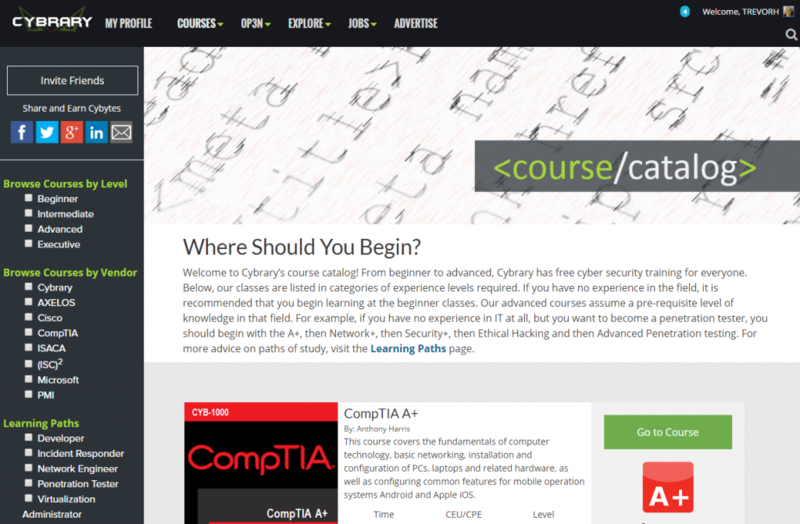 Today, we’re introducing the new course catalog on Cybrary. To date, Users have had limited flexibility when it comes to sorting through our course catalog. Taking into account some great User feedback, we’ve included the ability to filter classes by difficulty, vendor, and added Learning Paths. Learning Paths are designed to provide Users with recommended course paths for careers they may be interested in. By checking the designated Learning Path, the User can see exactly how to get started and what courses we recommend taking. We will continually be adding new Learning Paths and welcome any and all suggestions from the community on edits we can make, or new Learning Paths you’d like to see. We’ve also made small changes to the difficulty level display and added “Executive” tags to those courses those in leadership positions are encouraged to pursue.